“Party favors: Friends of Gov. Gavin Newsom raised a party-hearty $2.5 million for his inauguration festivities. “The biggest donor to the inaugural and the two days of parties was organized labor, which ponied up $775,000 to help stage the events, with $150,000 coming from the state’s prison guards union and $100,000 from the California Teachers Association Political Action Committee. “The state’s Indian casinos chipped in $525,0000, including $200,000 from the Federated Indians of Graton Rancheria, owners of the Graton Resort and Casino in Rohnert Park. “Friends of Gov. Gavin Newsom raised $2.5 million for his inauguration festivities. “The biggest individual donor was former San Diego Padres owner Jennifer Moores, who gave $200,000. Netflix founder and charter school advocate Reed Hastings gave $50,000. “Other big-dollar contributors included AT&T ($100,000), the State Democratic Party ($100,000) and the California Association of Hospitals ($100,000). In other words, pretty much your usual collection of organizations, businesses and trade associations that do business with the state. “Donors to the California Rises charity concert held the night before the inauguration included the Silicon Valley Community Foundation at $250,000 and $50,000 from the San Francisco Giants. This entry was posted in Uncategorized on February 24, 2019 by Editor. It is about time that the chimerical ideal of a “high-speed” rail line from SF to Los Angeles was abandoned by our out-of-touch elites. 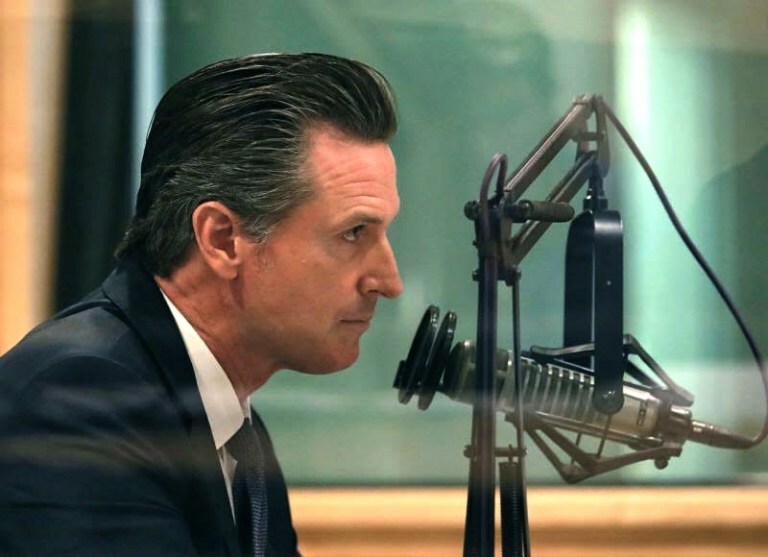 Newsom has finally said that the emperor has no clothes. The facts are that a “high-speed” rail line is not only too expensive to build, has the opposition of landowners and will have ticket prices that will be unaffordable for ordinarly people. Instead, how about improving the existing rail structure to offer a service which, while beating the bus service times, is subsidized, so inexpensive to use, and is a pleasure to take? This entry was posted in Uncategorized on February 13, 2019 by Editor. The Los Angeles Times reports that California now has a First Partner (in lieu of a “First Lady”). And they share a $4 million home in Marin, just like ordinary folks! Jen Siebel in 2008 when she was shacking up with Gavin. 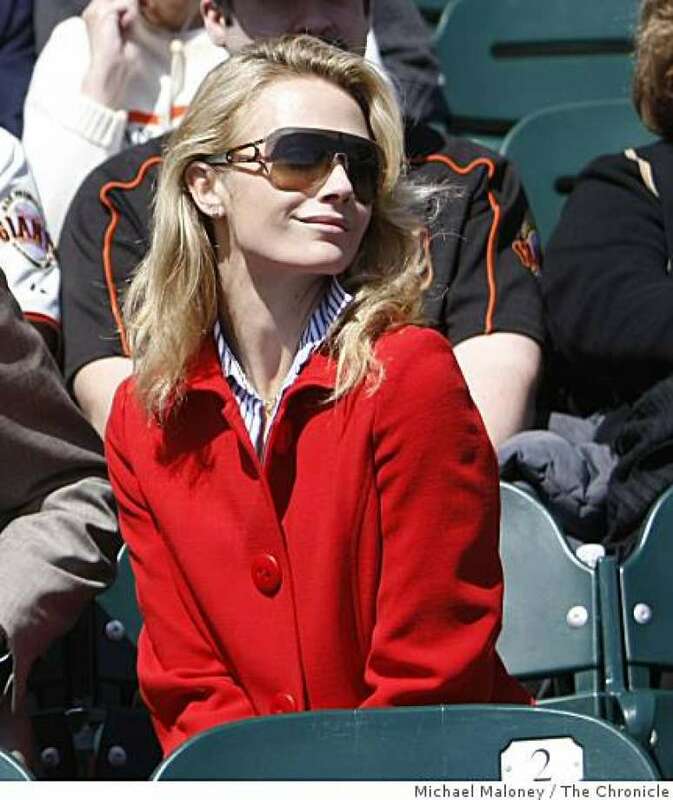 This entry was posted in Jennifer Siebel Newsom and tagged jennifer siebel newsom on January 19, 2019 by Editor. Dan Walters comments in CAL Matters. 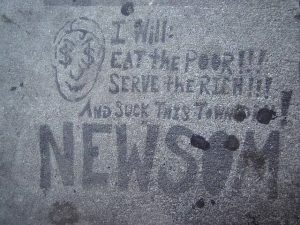 Newsom is succeeding someone who could be considered his quasi-uncle, since his inauguration continues the decades-long saga of four San Francisco families intertwined by blood, by marriage, by money, by culture and, of course, by politics – the Browns, the Newsoms, the Pelosis and the Gettys. This entry was posted in Uncategorized and tagged Tessa Newsom on January 9, 2019 by Editor. This entry was posted in Uncategorized on December 28, 2018 by Editor. 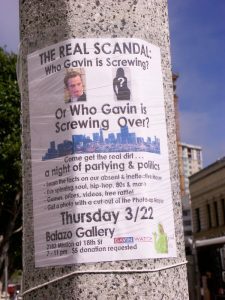 Gavin Newsom needs to divest from Plumpjack! 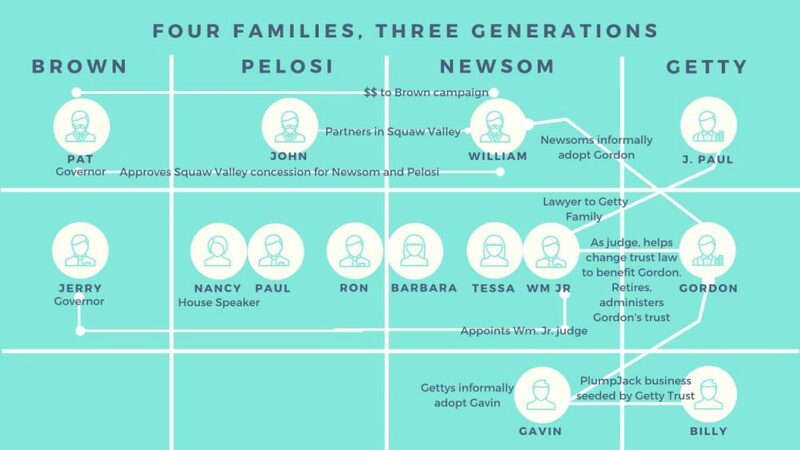 Newsom’s family business is run by a close relative — his sister, who seems unlikely to maintain radio silence with her brother for his four-year gubernatorial term. And if Newsom continues to accrue profits from the business’ assets, there’s the potential that lobbying firms or interest groups wishing to curry favor with or grab the ear of the governor might arrange to spend a ski vacation at the PlumpJack Squaw Valley Inn or a rejuvenating long weekend at the Ingleside Inn in Palm Springs, book a party at one of the company’s event spaces or order cases of wine from one of the wineries. This entry was posted in Uncategorized on November 13, 2018 by Editor. 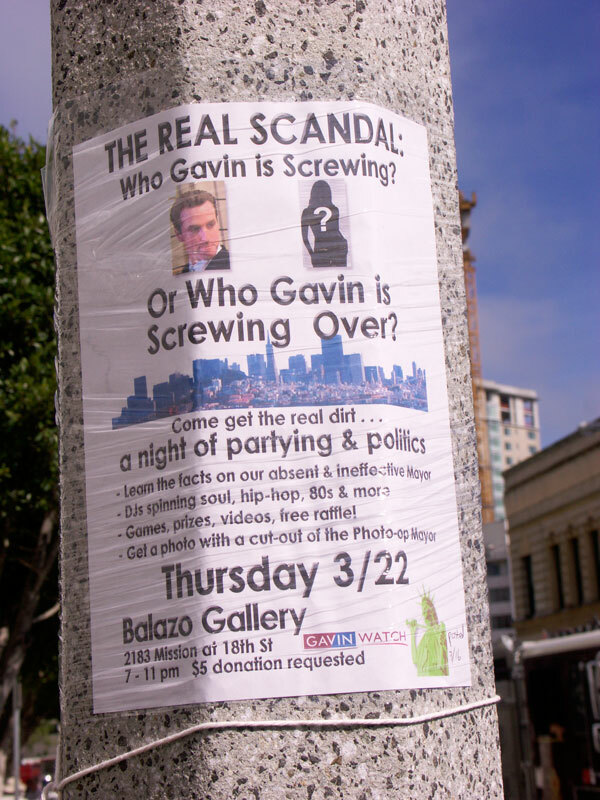 Why does Gavin Newsom not have a ballot description for his candidacy? Newsom, unlike his Republican opponent John Cox, declined to accept the $14.5 million general election campaign campaign spending limit for gubernatorial candidates. State law requires candidates for state office to keep below expenditure limits — which vary depending on the office being sought — if they want to purchase a 250-word candidate statement in the information guide that the state sends to approximately 19 million registered voters. 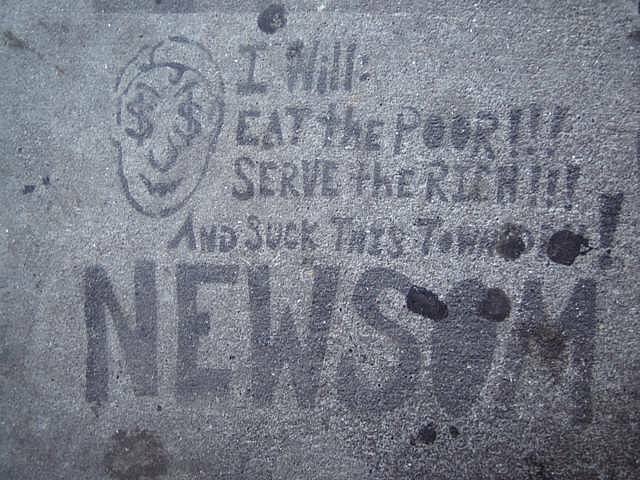 According to state election records, the Newsom campaign has spent $21.9 million this year as of Sept. 22. The Cox campaign, by comparison, has spent $8.9 million. This entry was posted in Uncategorized on November 5, 2018 by Editor.